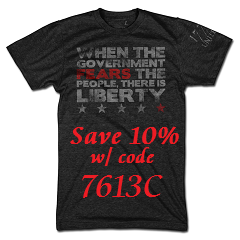 BREAKING!!!! 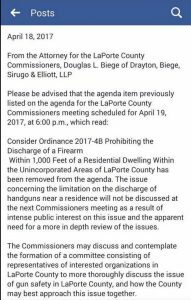 Attention: LaPorte County Indiana Gun Owners, the County Commissioners are considering an agenda item THIS WEDNESDAY 4-19-17 at 6pm sharp. 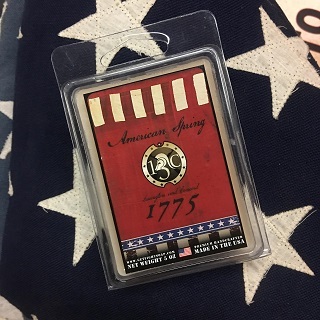 The anniversary of Lexington and Concord of all days!!! 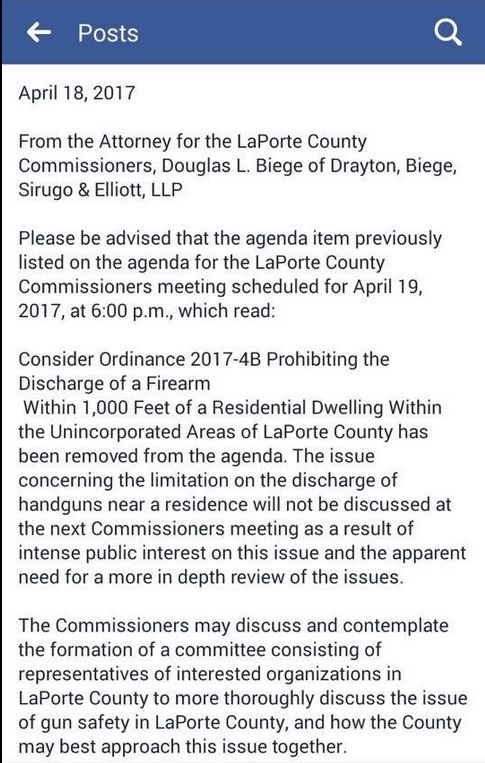 The new ordinance would ban the discharge of a firearm within 1,000 feet of a residence. This would effectively ban shooting on private property for virtually every resident in the county. 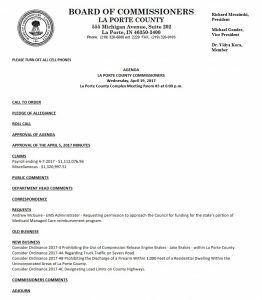 The meeting is THIS Wednesday 4-19-17 at 6pm, public comment is at the beginning of the meeting so please be punctual. Public comment is 2 minutes per person on agenda items. 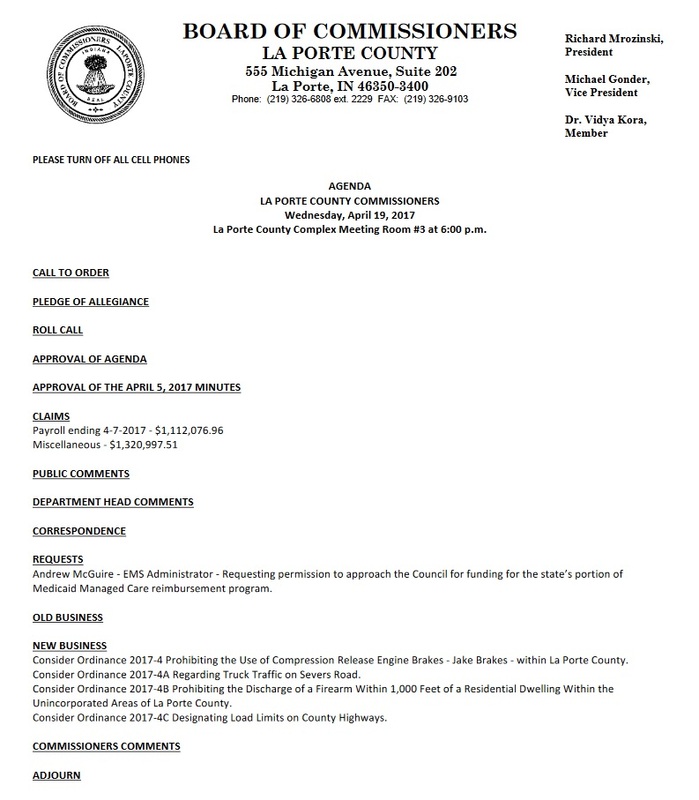 The meeting is held in the county complex on the first floor by the sheriffs office.